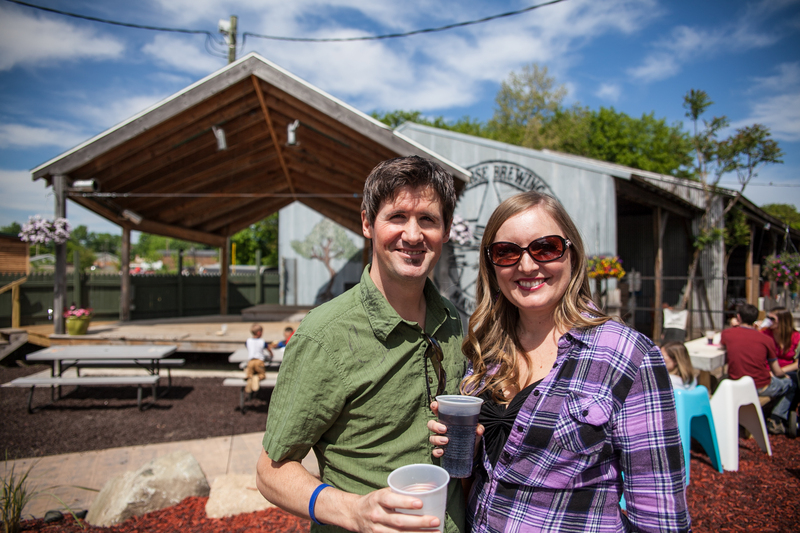 West Michigan Beer Tours is dedicated to providing beer lovers with fun, flavorful and relaxing tours. We encourage every passenger to drink responsibly and have a designated driver. After each tour we will also provide access to a local taxi service. While we encourage everyone to purchase beer at the breweries to take with you, we do not allow any consumption on the buses. If any of our tour directors have reason to believe that a person is intoxicated prior to a tour, we reserve the right to turn them away. If a person is turned away due to intoxication no refund will be provided. Unless a tour is cancelled all tours are non-refundable. Please note: The tours below appear in reverse chronological order. Destination: Dark Horse Brewing Co., High Five Hops Farm, Old Burdick's: Downtown, Territorial Brewing Co. The end of August and early September marks the peak of hop season. Farms across the state are harvesting their hop crops for breweries all over Michigan and the other parts of the world. 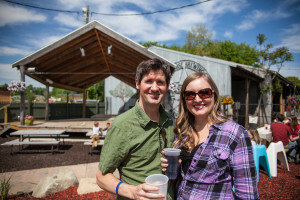 The tour, which originates at the Old Burdick’s Bar & Grill inside the Radisson Plaza Hotel in downtown Kalamazoo, will visit Marty Moga and his family at High Five Hops Farm in Marshall. The small farm works closely with Dark Horse Brewing Co. We’ll tour the farm and hear from the family about their role in Michigan beer. The tour will also make visits to Dark Horse Brewing Co. and Territorial Brewing Co., another brewery that works with High Five Hops. A pint or samples at the two brewery stop are also part of the tour. The Radisson Plaza Hotel in downtown Kalamazoo also provides discounted rates to our guest through this custom link: https://www.radisson.com/westmichiganbeertours. Origination: Old Burdick’s inside the Radisson Plaza Hotel, noon-1 p.m.
Stop 1: High Five Hops Farm, 17310 H Dr S Marshall, pint, 1:45-3 p.m.
Stop 2: Dark Horse Brewing Co., 3:30-4:30 p.m.
Stop 3: Territorial Brewing Co., samples or full pour, optional tour, 5-6 p.m. Termination: Old Burdick’s inside the Radisson Plaza Hotel, 6:30 p.m.